These days life can be a struggle. Many often feel anxious and stressed and some people feel that life is a constant cycle that never seems to end. This can be seen as a shame by some who believe that life should be an endless rollercoaster ride of emotion and happiness and love! It can be difficult to shift the feelings of tiredness and exhaustion that engulf us all after a hard day, either at work or at home looking after a house and perhaps a family too. This can leave one feeling physically and emotionally drained as well as detached from reality. How then, can one feel rejuvenated after feeling so tired and drained? One way that many people find helps is though nature. By getting close to nature, many believe that problems in life can melt away – or at least be seen in a greater perspective. 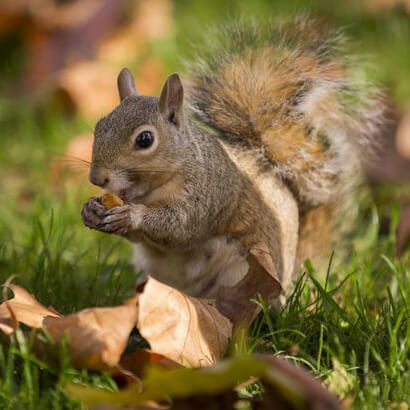 Many people believe that when sitting in a back garden or sitting in a park, the song of the birds around, the scurry and patter of small feet in the ground is a delight and can instantly make one forget the problems or stresses that one may be under at that point in time. Many who enjoy this feeling have turned their back garden into a miniature paradise, a nature reserve for all animals alike to come and visit. Whether sitting outside with a cup of tea whilst watching the birds or watching the wildlife from the sanctuary of the home, the pleasure of watching birds and wild animals play is undeniable. One way in which any garden can be turned into a sanctuary and a retreat for wildlife is by providing the proper environment for an animal to feel at home within. For example, a bat box may encourage bats to nest within a garden area. A bird box would certainly encourage many birds to come into a garden for rest, recuperation and shelter from harsh weather. One delight of the wildlife kingdom that is rarely seen though is the owl. This beautiful and rarely seen animal can be enticed to any garden with the help of an Owl Box! An owl box is a small box in which owls can take refuge and shelter. They can be put up in any garden to attract owls, often with surprising results! There are a number of advantages to having an owl box within the garden. Owl boxes differ in design depending on the kinds of owl which are common in the areas the owl box is to be set up in. For instance, so owls like to build nests in tree hollows, so boxes designed for that species of owl would resemble a long tubular shape. Other owls prefer other nesting areas so of course, would not have the same type of box. 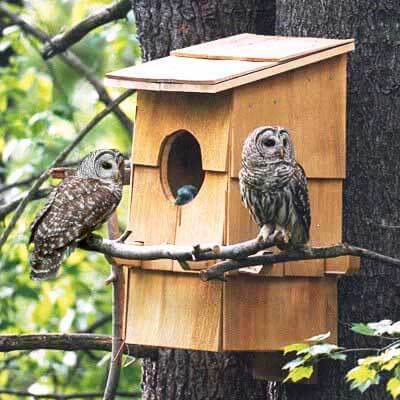 So, if you are a wildlife enthusiast and are aware of owls that currently inhabit the area in which you live, perhaps an owl box would be a perfect way to entice yet more wildlife to your garden! You too could enjoy the wonderful sight of owls in your garden and the pleasure of watching them grow and perhaps even have young. An owl box is the perfect way to get to see more wildlife whilst feeling relaxed and refreshed at the same time – you too could feel your problems melt away as you watch the magnificent beauty of the owl!